Sixteen West Papuan students were arrested by Indonesian police for raising funds for earthquake victims in neighbouring Papua New Guinea. The first arrests took place last Thursday at Polsek Abepura when students gathered to raise funds. Five students were arrested and were taken into police custody for interrogation, and were later released. 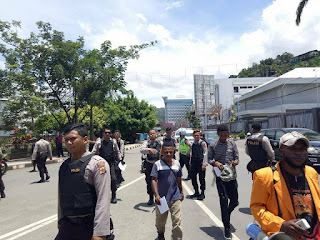 Christ Dogopia, student coordinator of the solidarity fundraiser for PNG confirmed two sets of arrests, adding that the second incident occurred over the weekend on Saturday when another eleven students were arrested by Indonesian police for their fundraising acts in Polresta, Jayapura. Dogopia said the fundraising drive was an act of solidarity for their wantoks in PNG who have been affected by recent earthquakes in the highlands. “This is a solidarity fundraising by the people of West Papuan which we students organized for the victims of the earthquake disaster in PNG…but we were taken to the police station and questioned and asked why we were raising funds,” he said. Dogopia said the police had confiscated the boxes of money collected from the street fundraising and failed to return the cash after their release. Arrests from both incidents were questioned without proper explanation as to why were detained. All 16 students were later released. 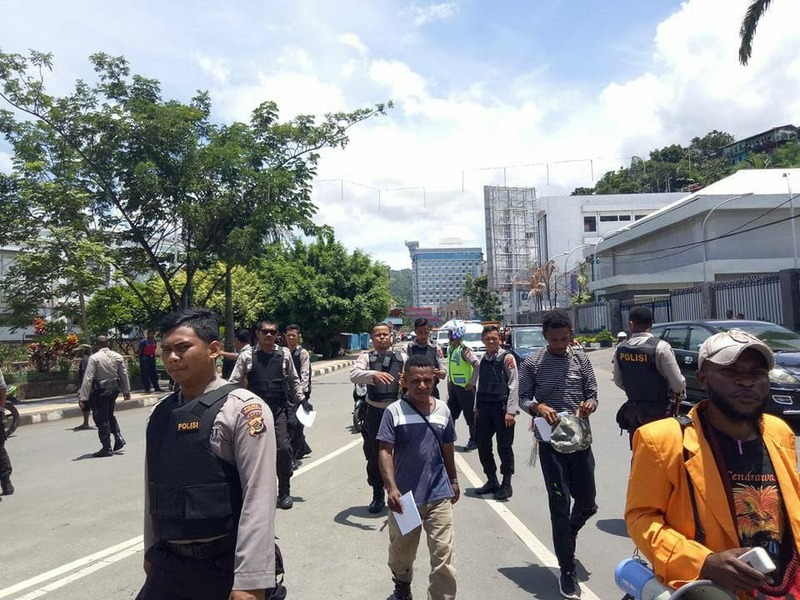 He said the Indonesian police acted unprofessionally because the solidarity group had formally informed the police in writing about the street fundraising. These sets of arrests come after 45 West Papuans were taken into police custody for questions.